When the sun dawns and the stars begin to appear an entire new ambience is felt throughout the city. 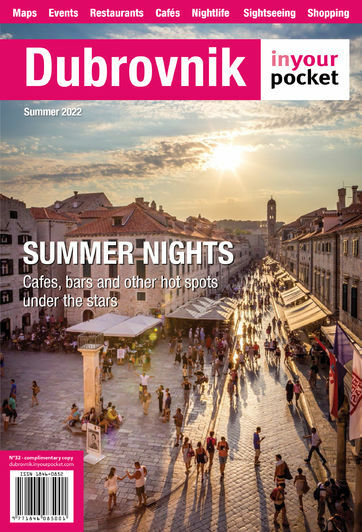 The night scene in Dubrovnik is not much different from the rest of Croatia. The narrow streets in the Old Town become a source of music, laughter, clamor and romance. A true international atmosphere is sensed all-round. Classical music concerts are held in city palaces with a strong international contingent appearing on stage. Open-air theater and performances are always an essential part of the summer evening too. The main walkway called Stradun and its interconnecting and surrounding streets definitely offer various venues with music of all kinds as well as audacious drink assortments that will tickle anyone’s tonsils. Local aperitifs and liquors are popular as well as delicacies like smoked ham and cheese, which always come in handy as you soldier on through the night. Lots of bars and restaurants are open till late with Mediterranean most popular. It must be noted that in most bars and pubs people prefer to stand, it’s the best way to mingle, break the herd or even go to the WC. Once you’re packed in like a sardine, then standing room can often alter from being indoors to outdoors; not to mention the fresh air. The city’s clubs and lounge bars are open till late, so if you’re up for an all-nighter, by all means!